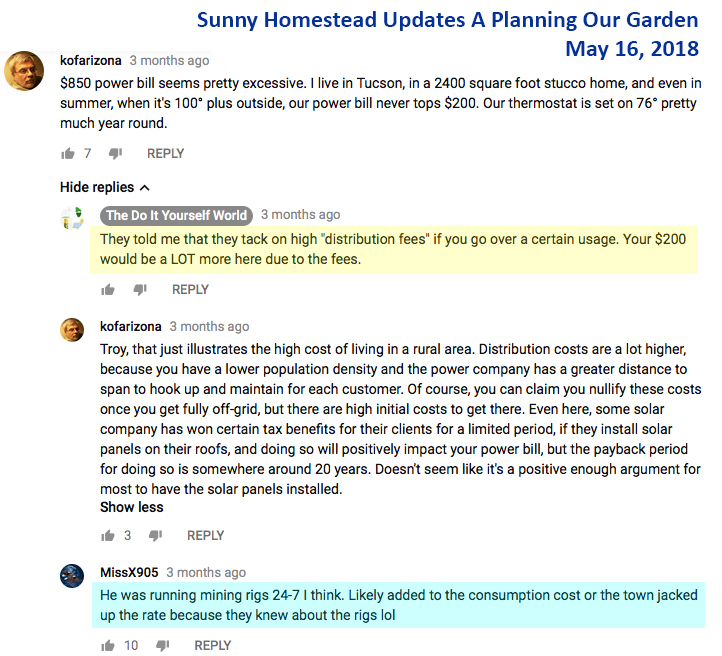 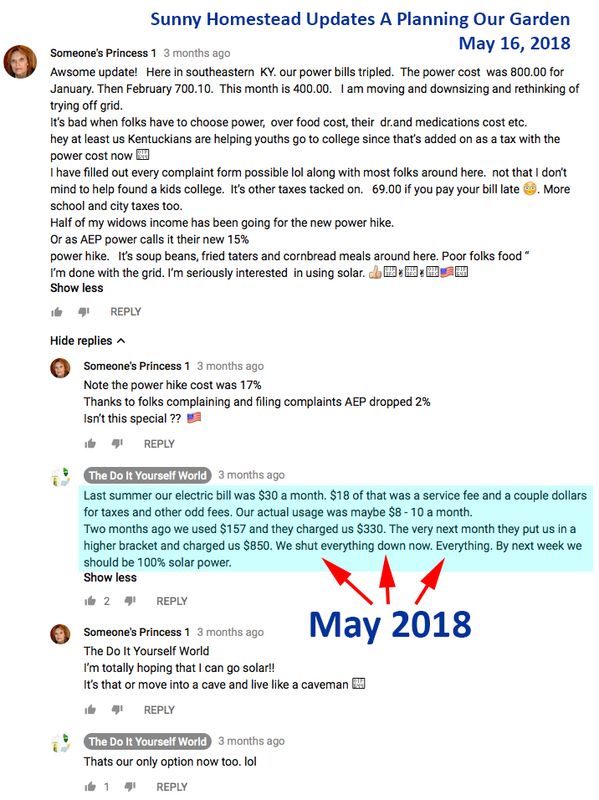 "Last month it was $157 electric use and $180 in fees." 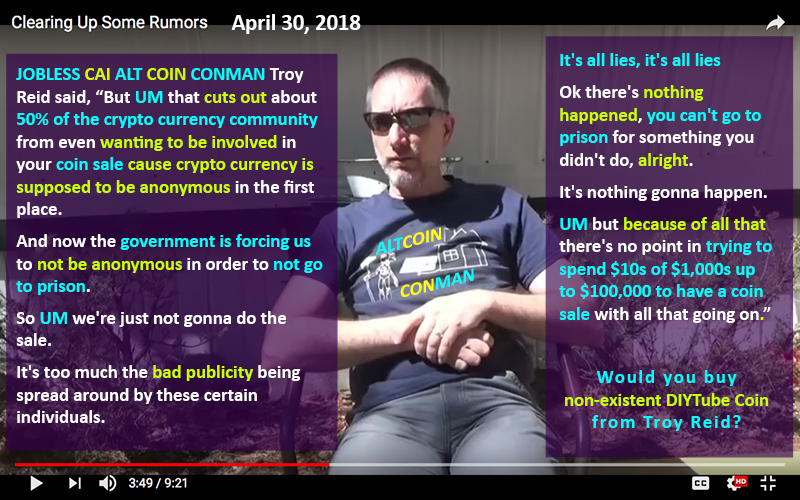 "Last month" was April 2018. 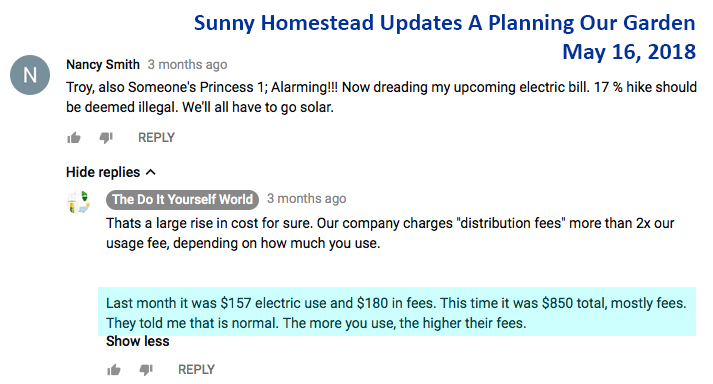 "Two months ago we used $157 and they charged us $330. 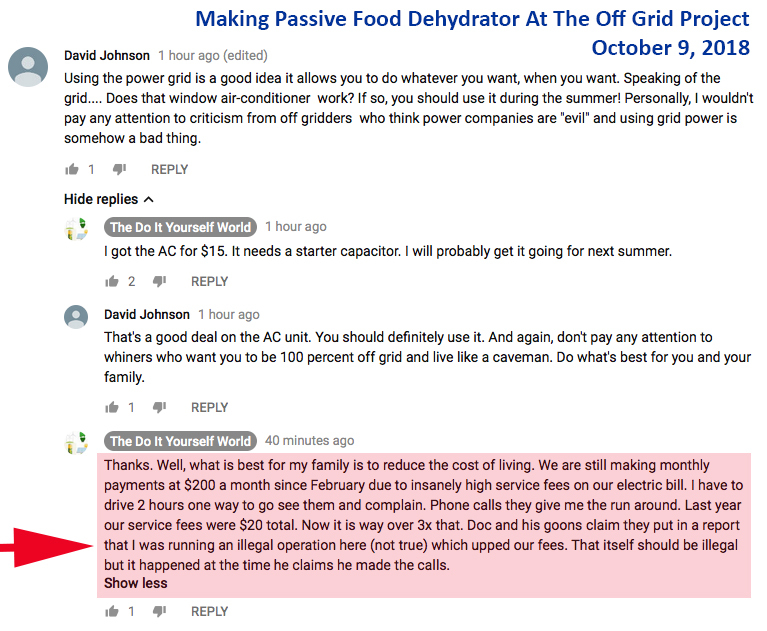 The very next month they put us in a higher bracket and charged us $850." 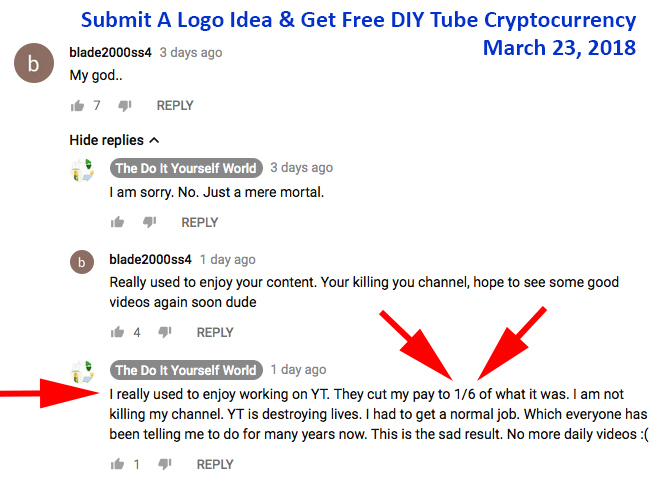 "Two months ago" was March 2018 and the "very next month" was April 2018. 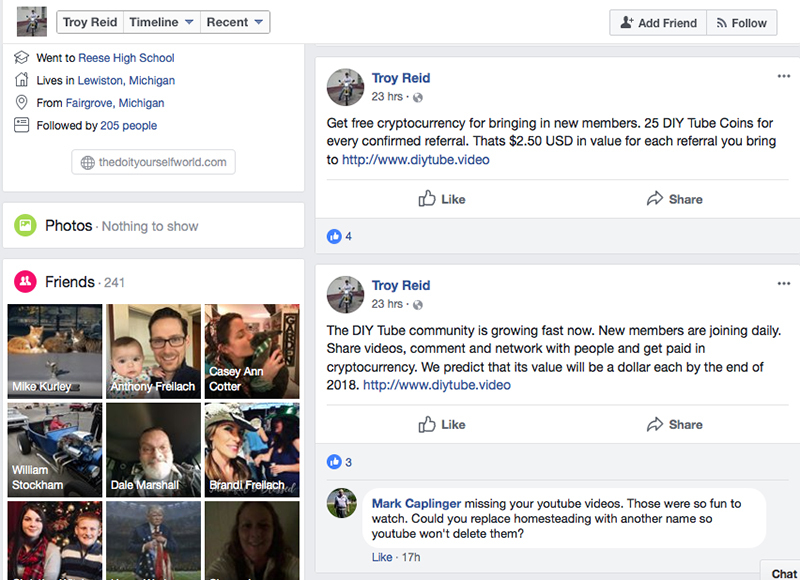 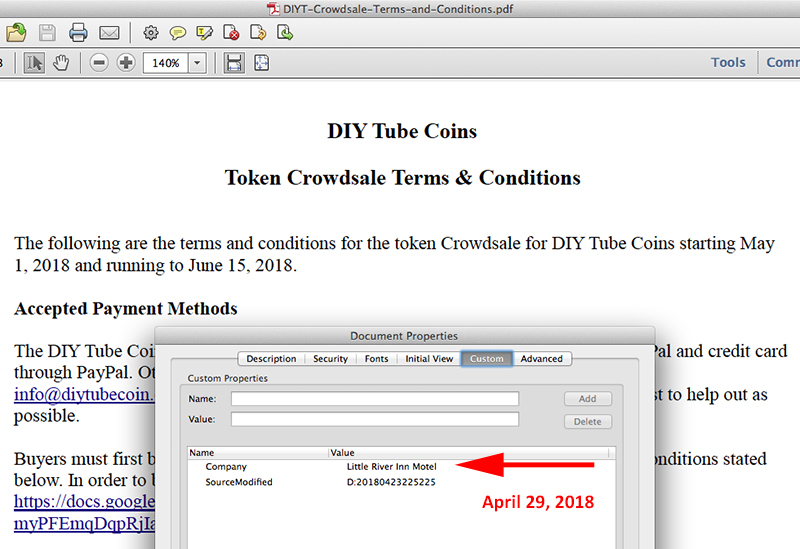 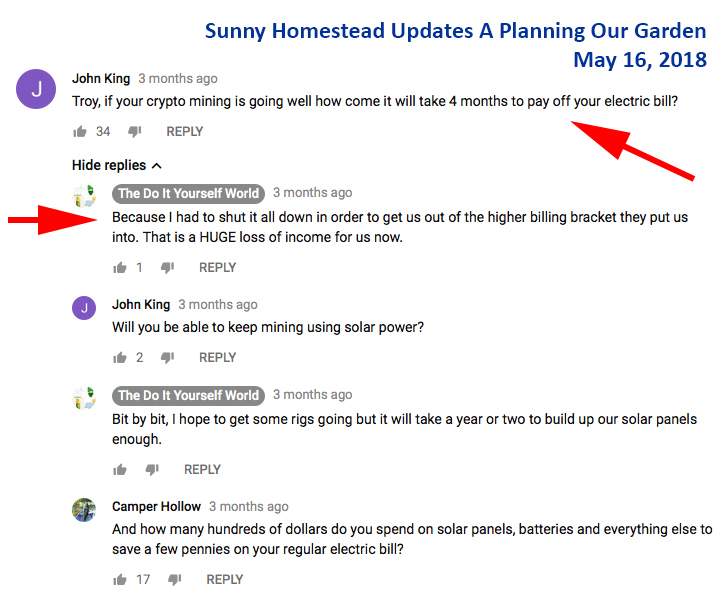 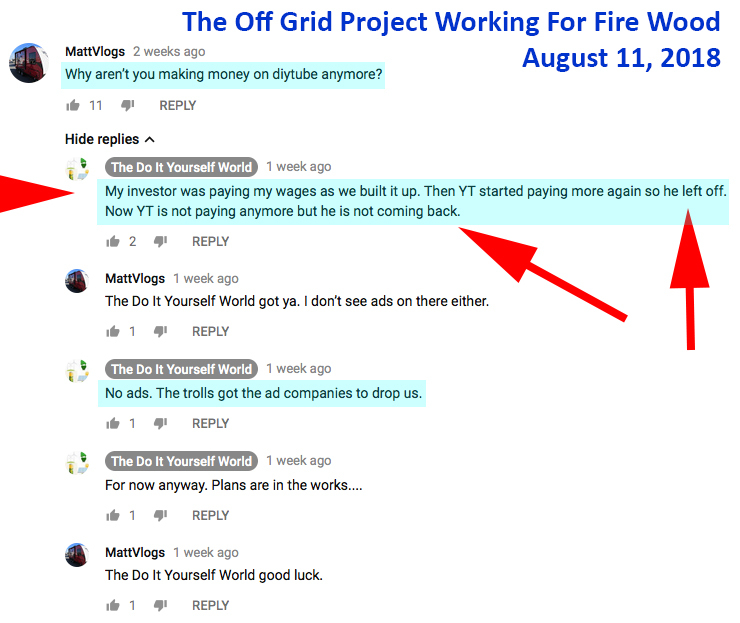 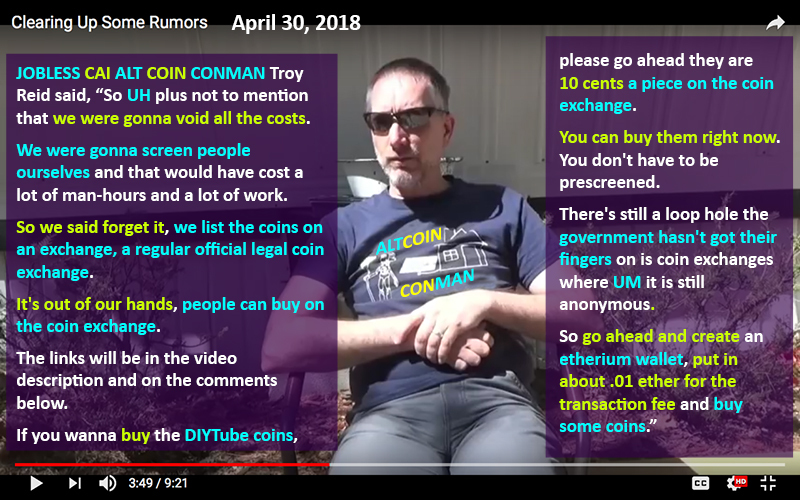 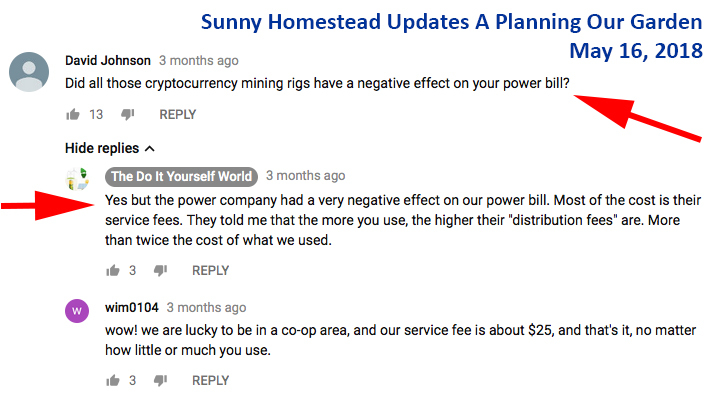 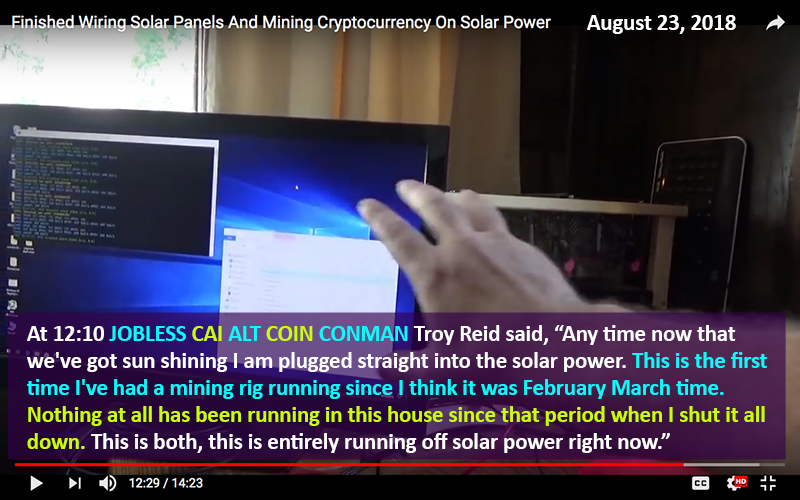 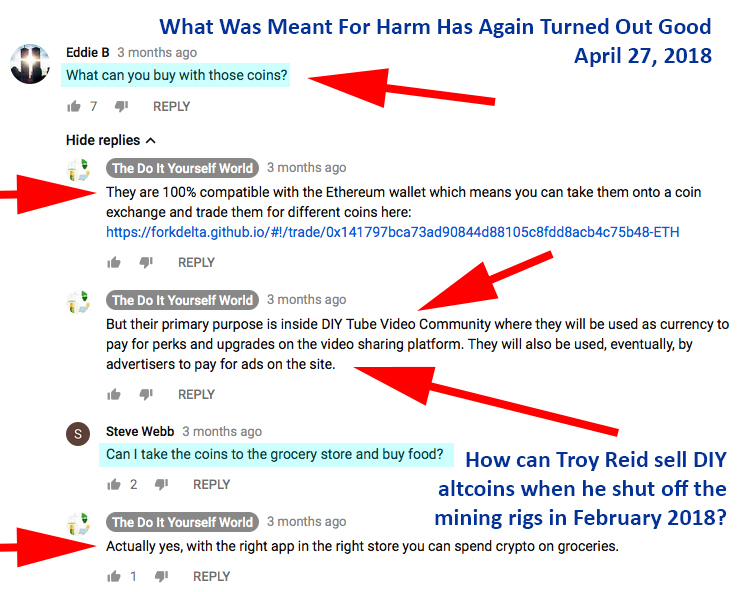 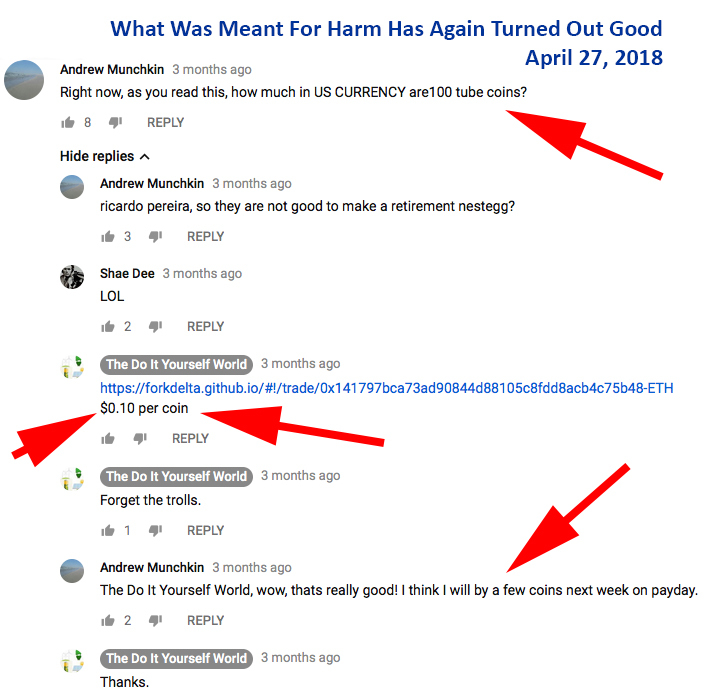 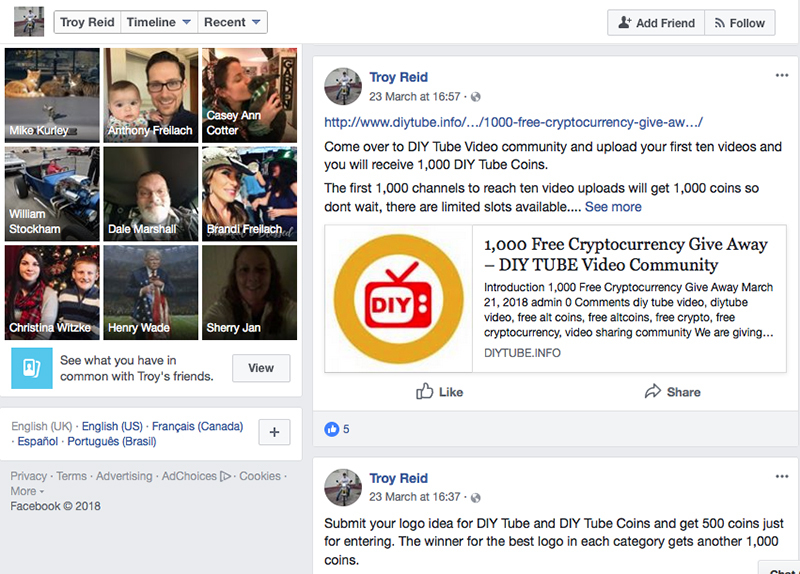 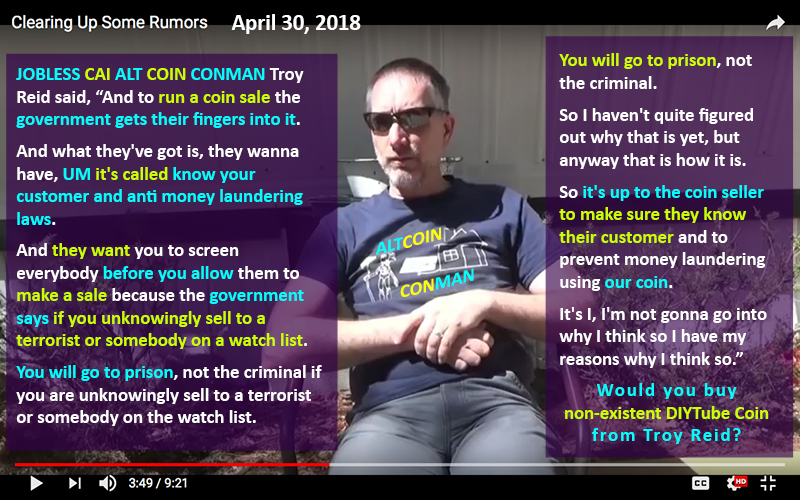 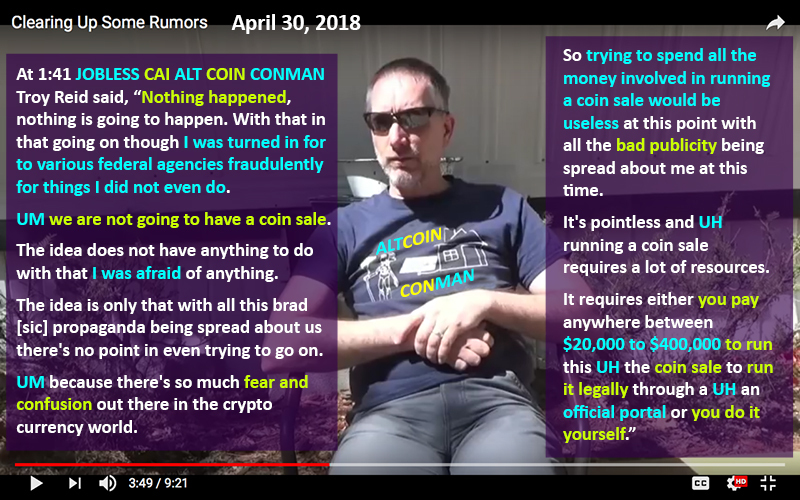 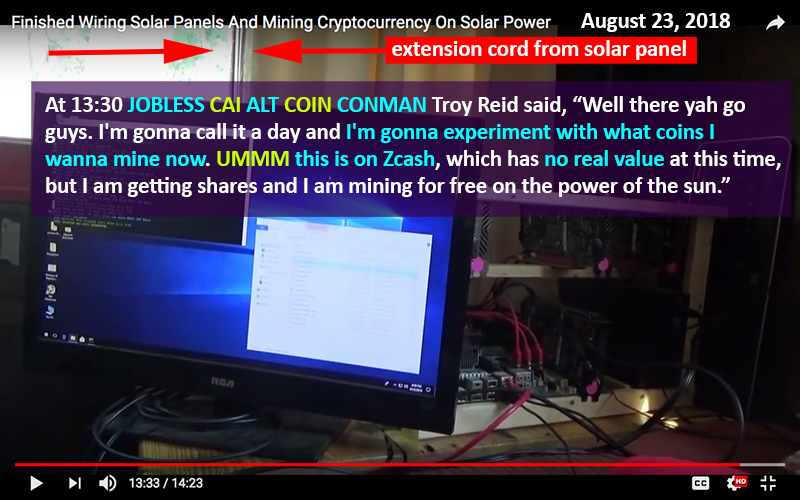 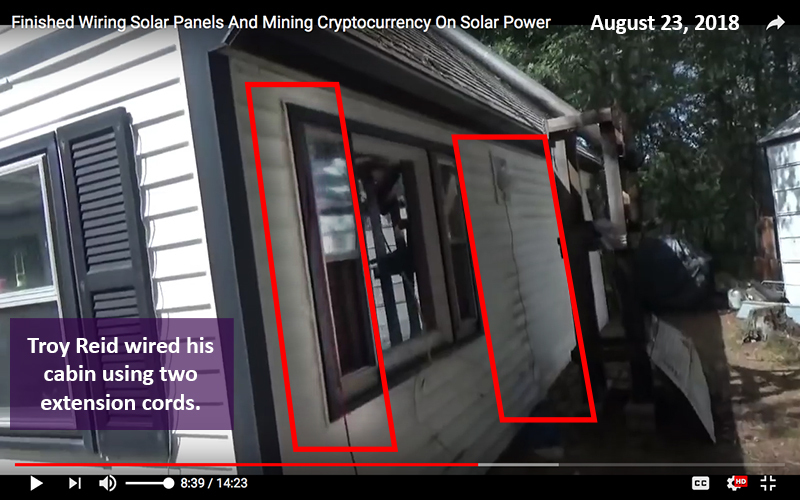 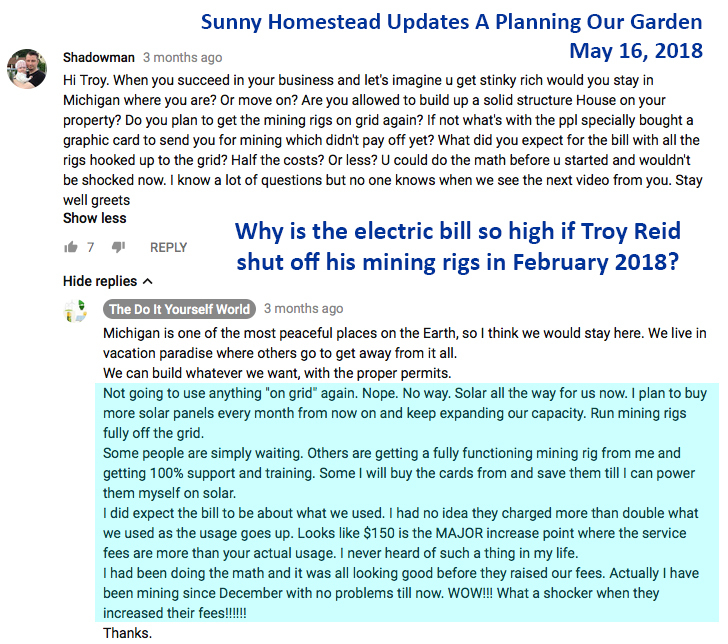 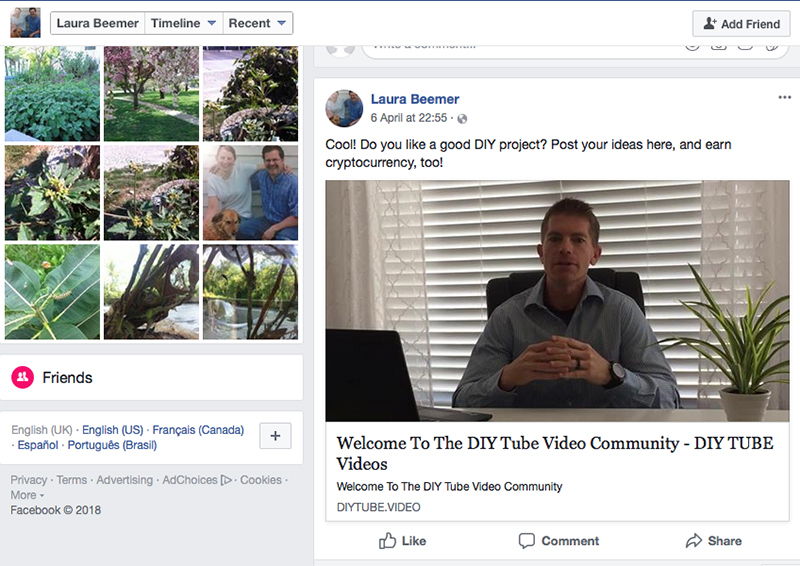 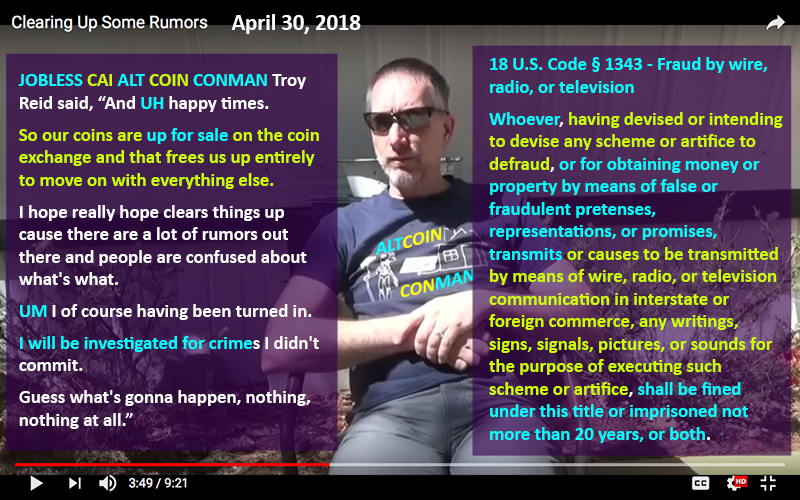 How can Troy Reid sell DIYTube coin as stated in his April 30, 2018, "Clearing Up Some Rumors" video when he shut off his mining rigs in February 2018 and had no DIYTube coin to sell? 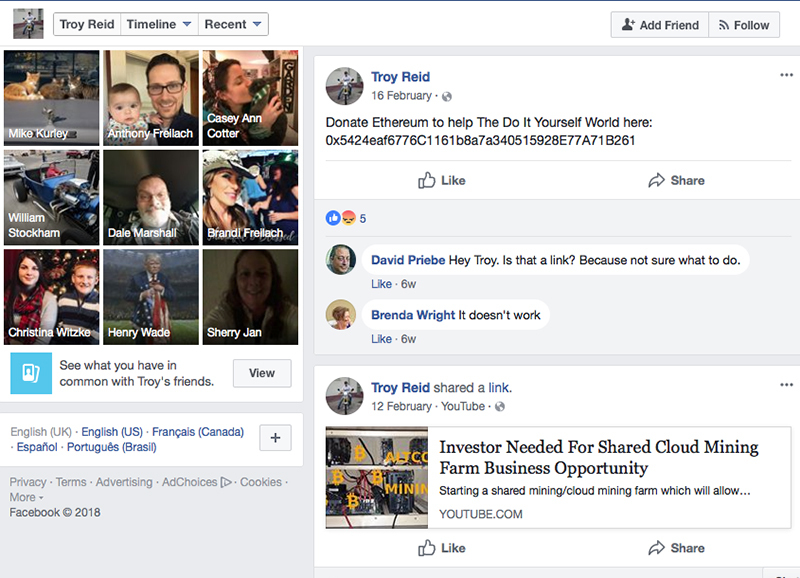 Troy Reid admitted in his comment above that he is incapable of working more than a couple of hours a day. 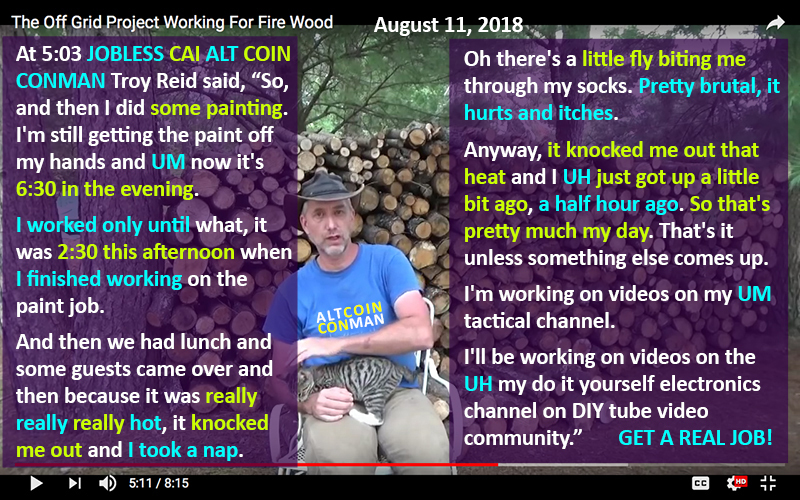 He would not last at a "real" job for more than a day because of his poor work ethic and attitude. 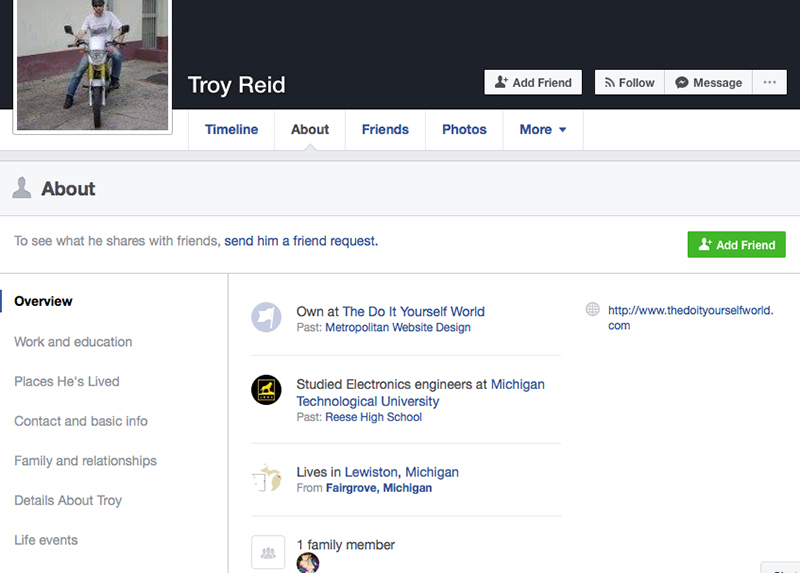 Troy Reid wrote, "I highly doubt I could keep a job more than a day." 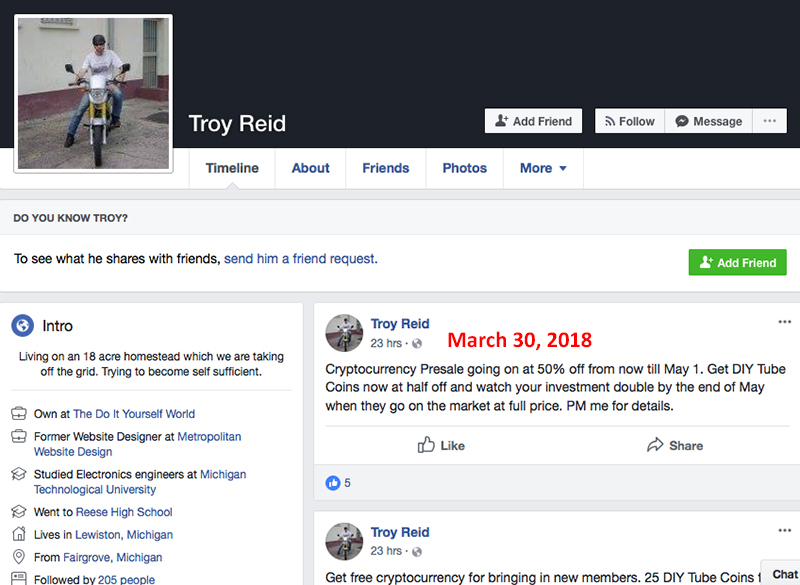 How many jobs has Troy Reid been fired from after only one day of work? 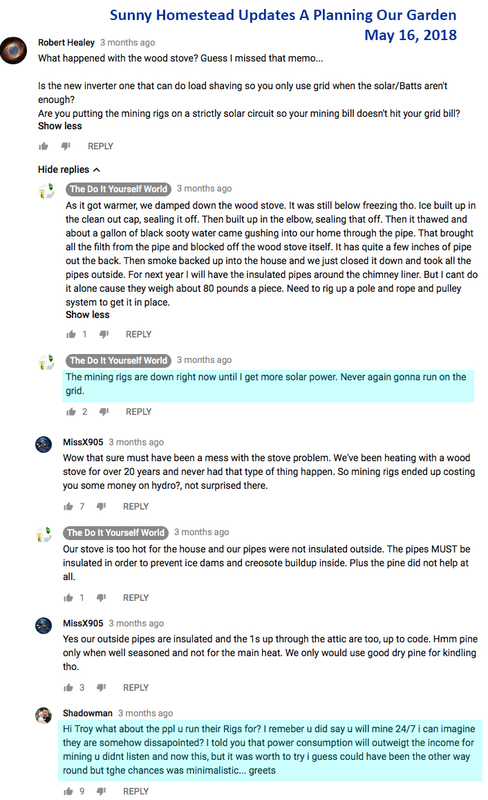 Probably dozens. 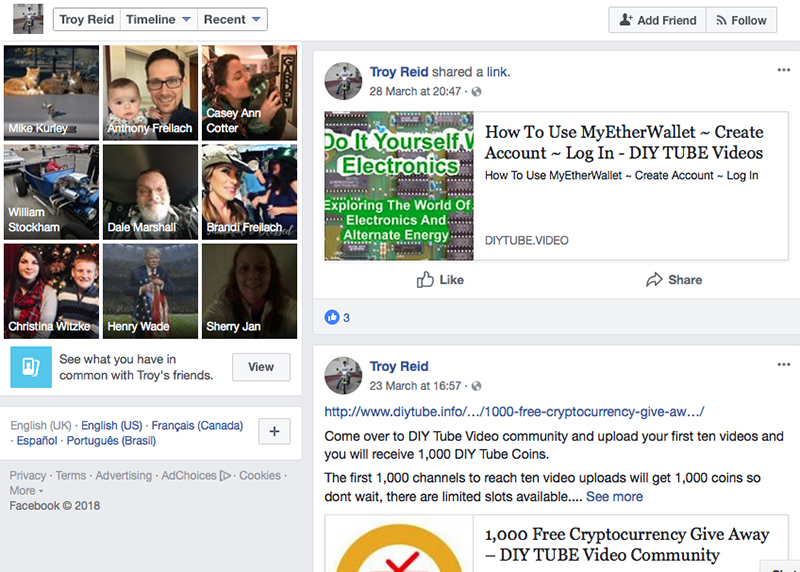 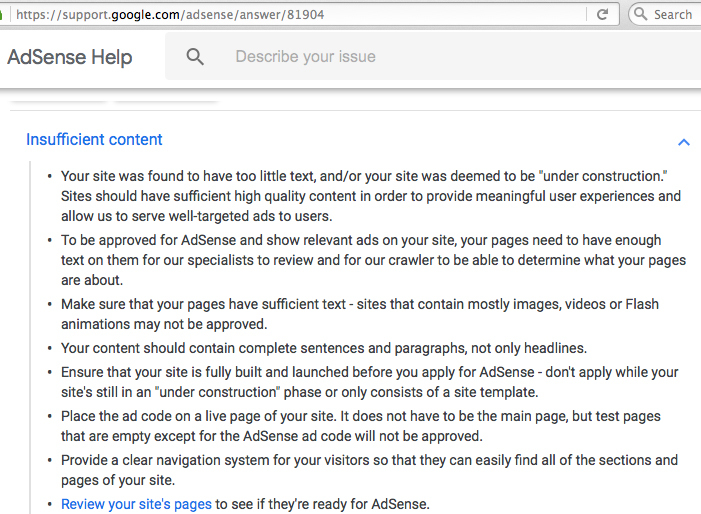 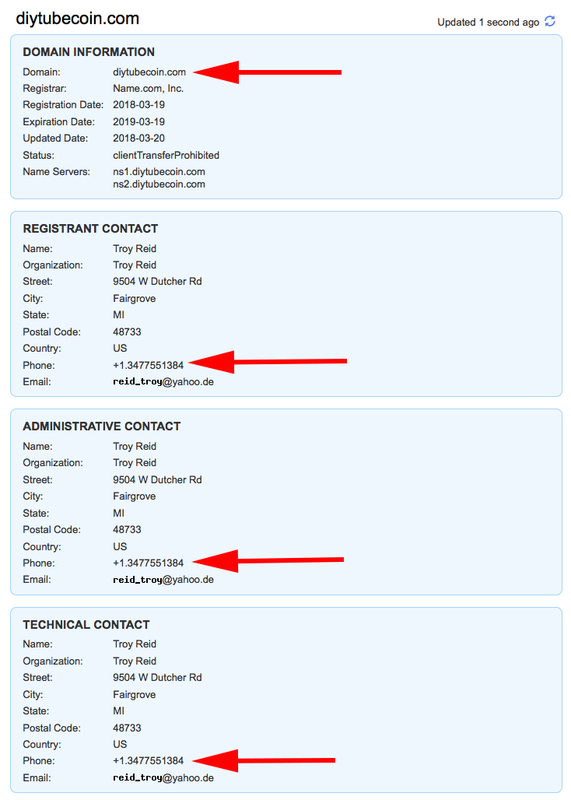 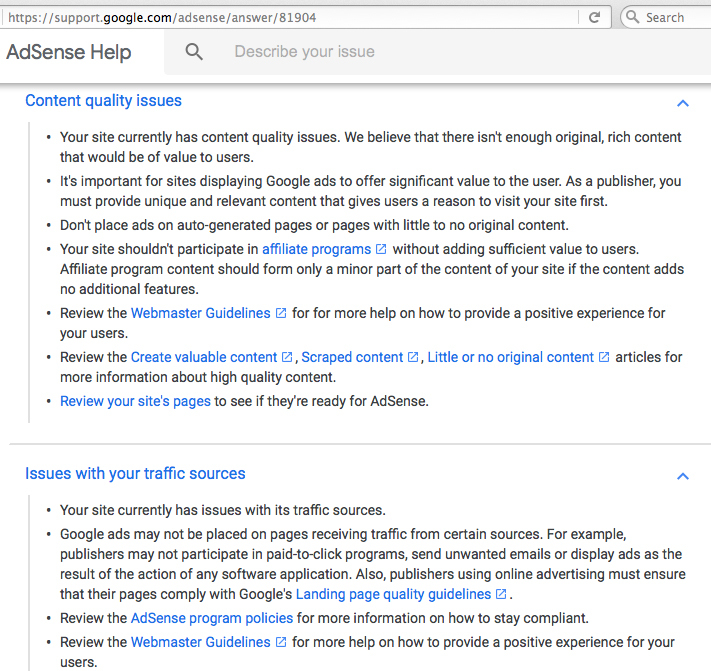 Troy Reid's website does not have google adsense because it does not meet minimal requirements for ads. 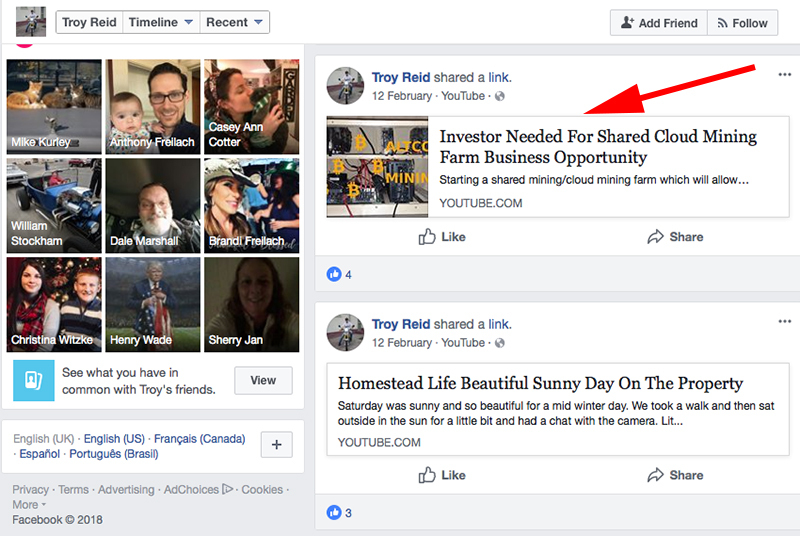 Troy Reid claims he was paid a salary by a secret investor. 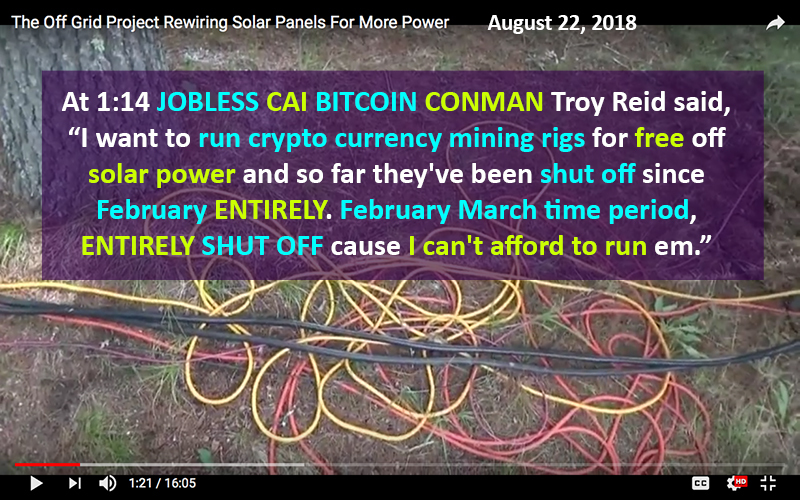 Why did he entirely shut off his mining rigs in February 2018 because of a lack of funds? 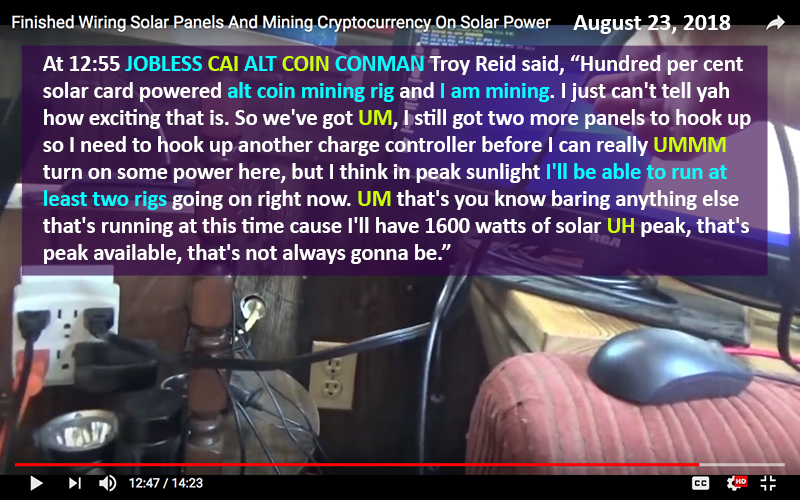 More lies from Troy Reid. 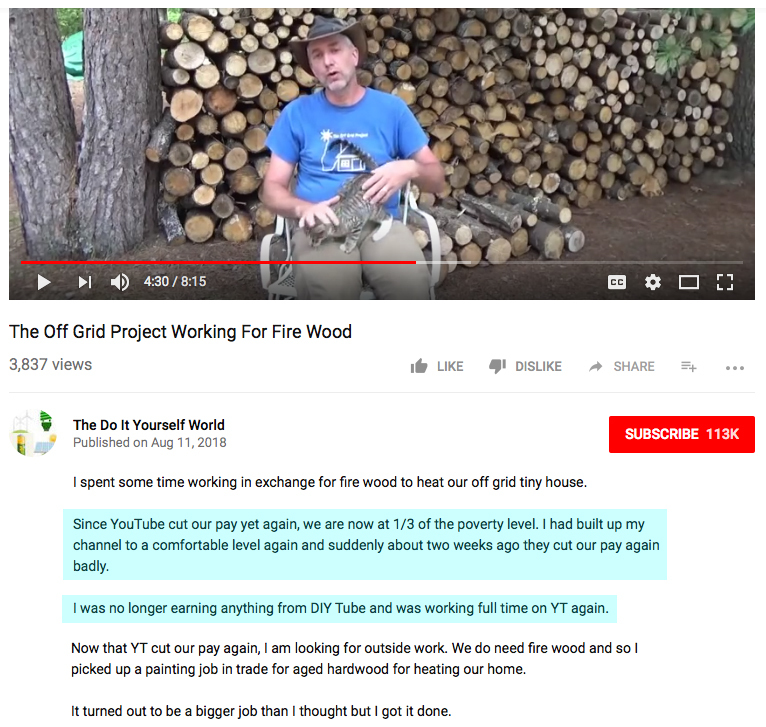 Blaming others for his mistakes and inability to support his family because of his refusal to get a job.